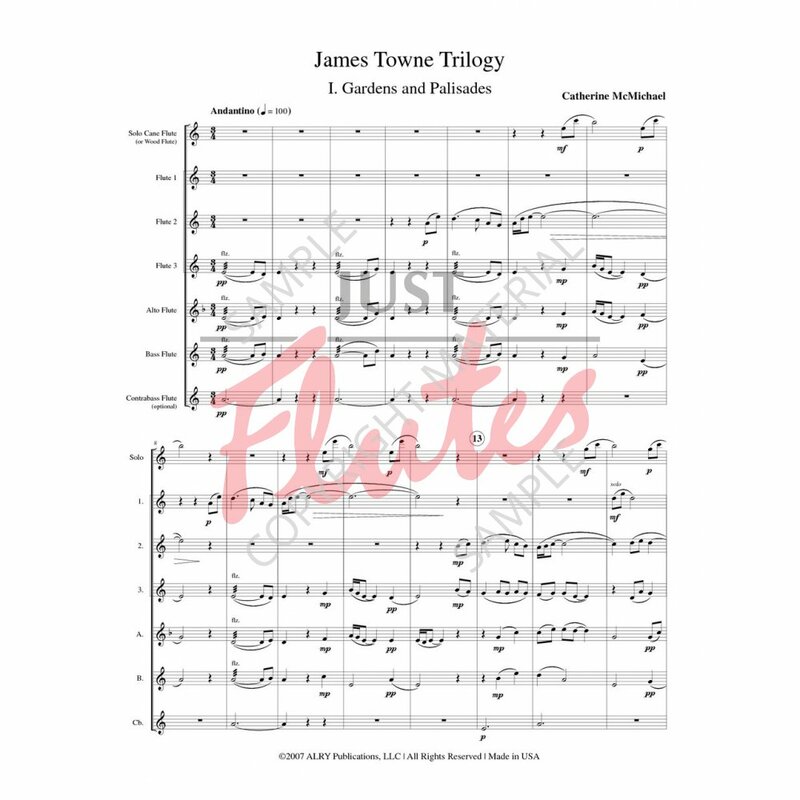 For FLUTE CHOIR - Composed in honor of the 400th anniversary of the founding of Jamestown, Virginia, each movement pays tribute to its broad historic events. 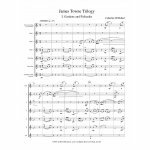 Scored for 6-part flute choir, incorporating a solo cane, or wooden flute (opt. 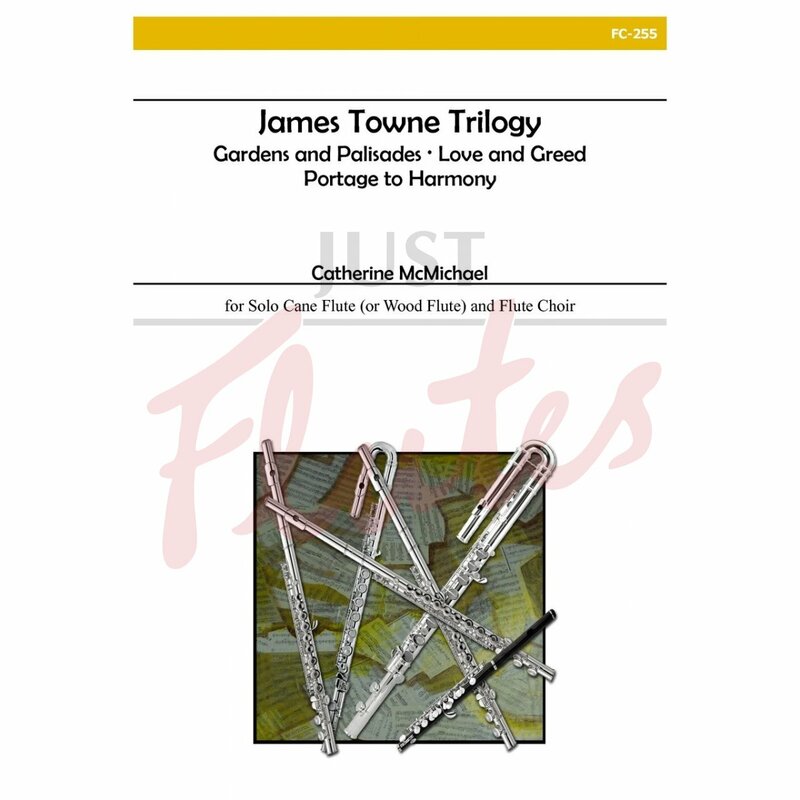 piccolo part included), 3 C flutes, alto, and bass.